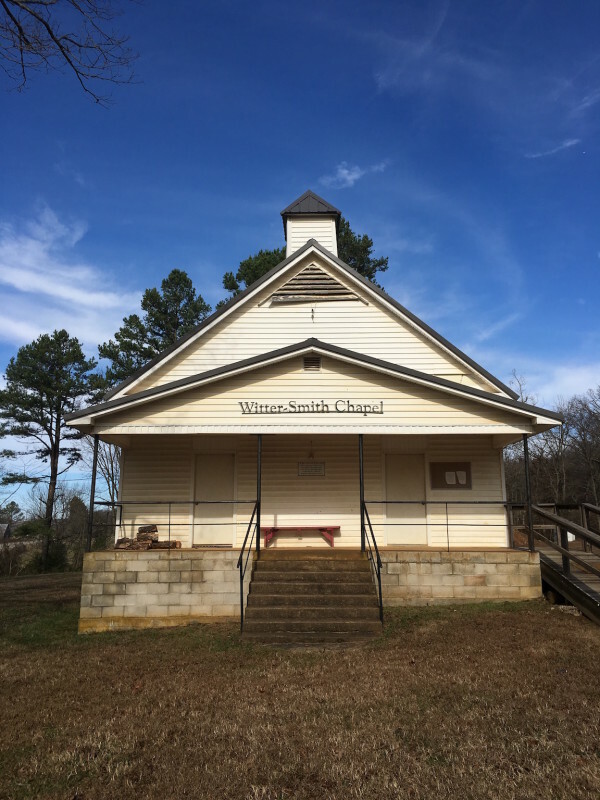 The Witter-Smith Chapel, adjacent to a geocache-hiding cemetery in rural Arkansas. Traveling along State Highway 23, I stopped out in the middle of nowhere Arkansas at the Witter-Smith Chapel. The stop was partly for a break for me, partly for a break for the Girl, and partly to see if I could find a geocache that was listed near the adjacent cemetery. I accomplished all tasks but one — I didn’t find the geocache. But the Girl and I had a nice break from the 4Runner, the road, and a good stretch of the legs. It is important to remember those who lived before us and I honor those folks when I visit their graves. As a boon, the chapel made a nice capture.